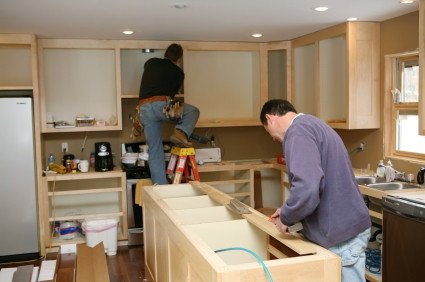 If your Outer Banks kitchen needs a face lift, consider refacing your cabinets rather than replacing them. It’s an economical alternative to a full kitchen remodel, while still dramatically changing your kitchen cabinet design. You’ll have the look of a new kitchen at a fraction of the cost. What’s not to love? Cabinet refacing has never been easier with Custom Kitchens! Cabinet refacing is an ideal way to bring new life to your Outer Banks kitchen. It’s less expensive and destructive than a kitchen cabinet replacement project. Replace your cabinet doors, typically with a modern wood or laminate door. Change cabinet drawer fronts to complete the cabinet look. Change cabinet hardware as desired. Update other areas of the kitchen, as well, whether it’s the countertop or the kitchen sink. As home values remain strong on the Outer Banks, many home owners are updating their kitchens to help increase their home’s appeal for today or future resale. Cabinet refacing is an ideal project for adding a fresh new look to your kitchen while keeping your remodeling costs in a manageable range. If you’d like to reface the cabinets in your Outer Banks home, contact Custom Kitchens now to speak to one of our friendly sales staff. We’ll be happy to go over all of the options available and answer any and all questions you may have.